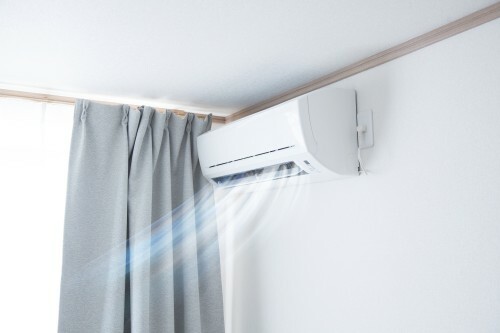 Mobile Comfort, Inc., in collaboration with the University of Maryland and the U.S. Department of Energy, has announced plans to beta test the Roving Comforter (RoCo) personal air conditioner in summer of 2019 ahead of its commercial release. RoCo is a wireless, portable air conditioner that cools the ambient air around a person. RoCo differs from currently available cooling devices in its ability to provide targeted cooling to its user for up to 8 hours without rejecting waste heat or requiring wires and ducts. This is ideal where air conditioning is impractical, such as warehouses or outdoors. People in low density spaces such as residential apartments, small houses, and small SMB office spaces with only a few people can control the thermal environment around individuals and avoid over-cooling unoccupied areas. This can achieve energy savings of 12 to 30 percent, significantly cut utility costs, and enable optimal comfort control. Mobile Comfort has been working with leading industry partners to design the RoCo prototype with the goal of scaling production and selling the technology as a branded product. The beta test will help the company to gather feedback from users before the public launch. "Our laboratory tests show a clear improvement of comfort while saving energy in multifamily residential buildings and small office spaces," said Todd Stave, CEO of Mobile Comfort. "We're excited to get it out in the field to measure how people use RoCo in the real world and to gauge their overall satisfaction with the experience." Mobile Comfort is seeking volunteers to try the RoCo in their home or office for one month during the peak heat of summer 2019. The beta test will take place in Atlanta, Austin, Boston, Chicago, D.C., Minneapolis, New York City, Phoenix, San Jose, and Toronto. On-site testing will also take place in Japan. Testers who complete a brief satisfaction survey after the trial will be entered in a lottery to win a free RoCo. Individuals who are interested in testing the RoCo in their home or office can apply on the Mobile Comfort website before April 30, 2019. Mobile Comfort Inc. is an SMB startup funded by a grant from the Department of Energy. Mobile Comfort Inc. is focused on creating cooling solutions that are both mobile and energy efficient.